Anything under this category is not categorized, or has yet to be categorized. In two days, the fuel-exhausted MESSENGER probe will crash into Mercury, leaving behind its own crater. This will be the end of an era, as the inner solar system will no longer have any probes actively studying the inner planets. 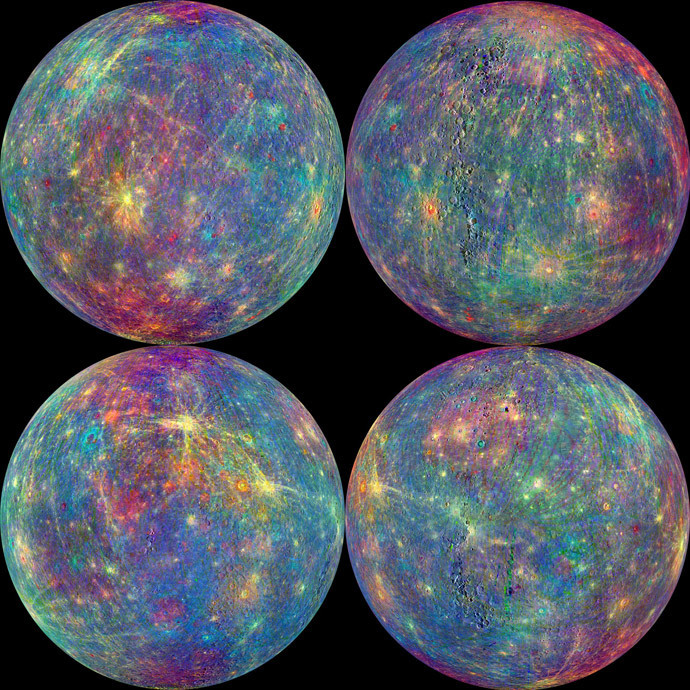 This image was taken using the Visual and Infrared Spectrometer to bring out the craters and mountains present in Mercury. Despite its loss, it has done a lot of work for us: It found evidence of frozen water found in areas of permanent shadow. It found an unidentified layer of material above the ice, which is suspected of being organic material. It discovered that Mercury has shrunk 7 km in radius since its creation. It’s slated to hit Mercury on April 30. It will be behind Mercury, therefore, we won’t see its collision until much later. Goodbye MESSENGER. 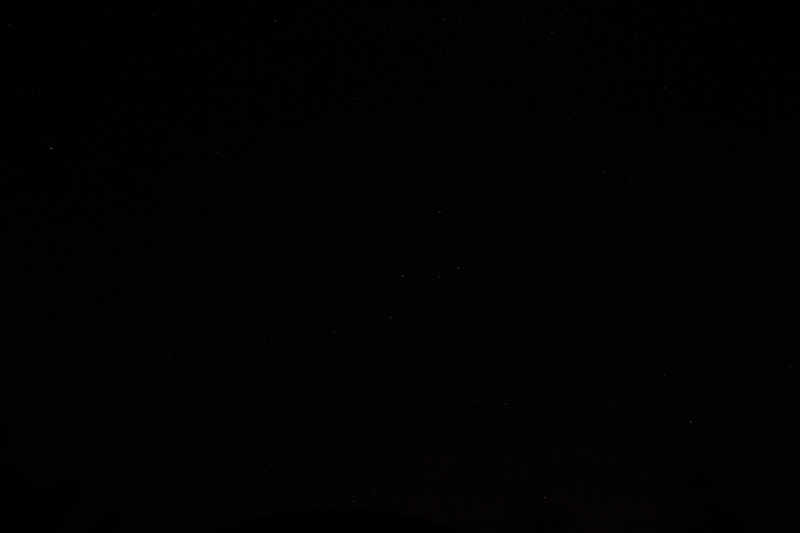 Ancient Armenians had intimate knowledge of the night sky, and a unique mythology to go with it. 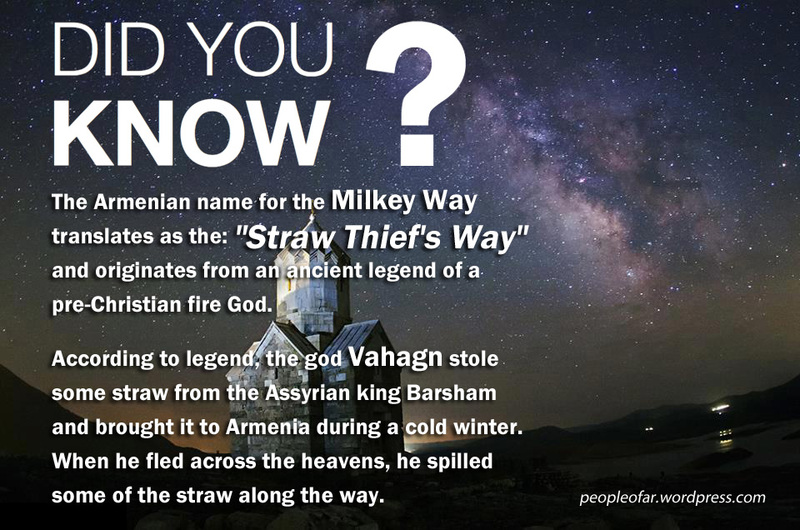 Here is an article about the Milky Way in the context of Armenian Mythology. The ancient Armenians had a refined knowledge of astronomy. The oldest known observatories are located in Armenia. Dated as early as 4200 BCE, Karahunj and the ca. 2800 BCE observatory at Metsamor allowed ancestral Armenians to develop geometry to such a level they could measure distances, latitudes and longitudes, envision the world as round, and were predicting solar and lunar eclipses about 1000 years before the Egyptians began doing the same. One can find all types of monuments and petroglyphs, written manuscripts and astronomical terms created in the Armenian language thousands of years ago, attesting to the rich knowledge of astronomy by the ancient Armenians. Hi Everyone, My name is Chris Joly. I am an Armenian-Canadian student currently living in Toronto, Canada. 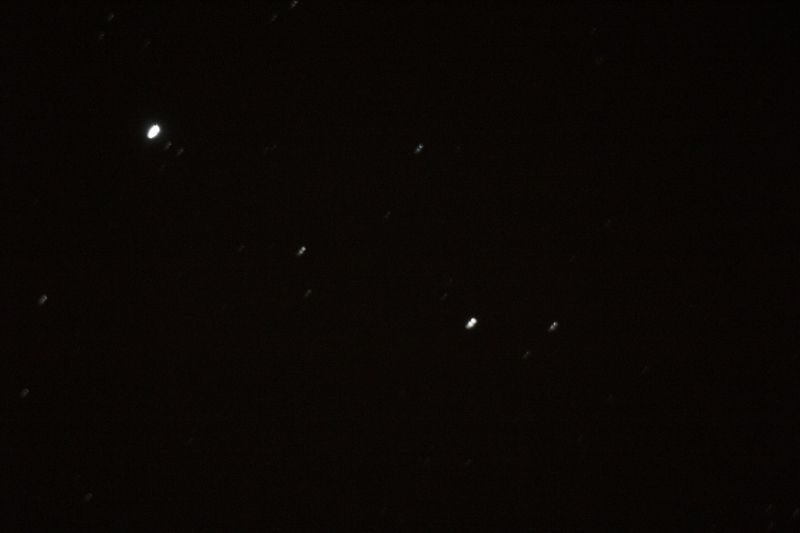 I am an avid amateur astronomer. Ever since 2011, I had an intrigue in astronomy, and I have developed that hobby to the point where I am taking pictures of these celestial bodies using my Neximage Solar System Imager 5 camera attached to my Celestron Nexstar 8 SE telescope. 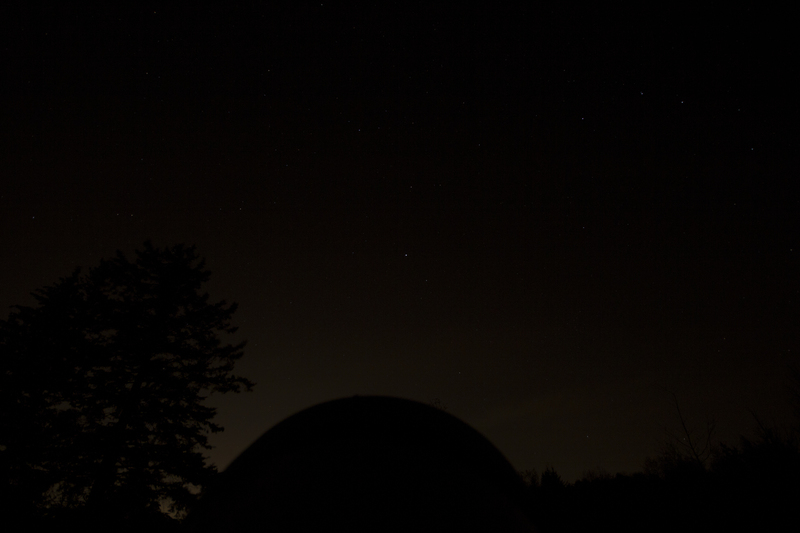 Using my telescope and camera, I hope to continue taking images of the amazing planets, nebulae, stars, and other celestial objects in the sky and to share it with all of you. The frequency of posts depend on a variety of factors, such as weather, whether I go on a viewing session, and other factors. 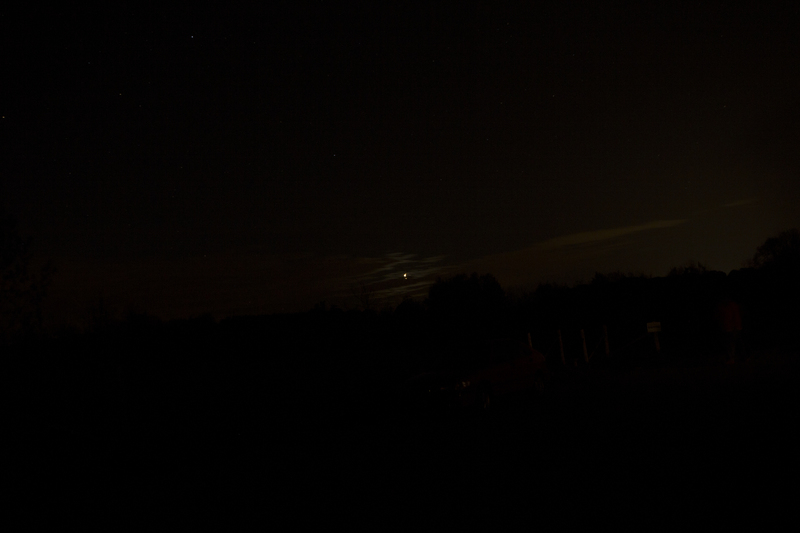 However, when I do go out on an astronomy session, I’ll be sure to post it up for you all to read about. I hope you all enjoy what is written on this website.